Portland, OR. The Oregon Symphony broke another record at Gala 2019: Landmark with $1.2 million raised on Saturday, April 13th at the Portland Art Museum. More than 400 guests, including 2019 Gala Honorary Chair Jordan Schnitzer, who posed with with Lois Schnitzer, honored the legacy of Arlene Schnitzer and the late Harold Schnitzer. Supporters celebrated the Symphony’s standing as a landmark organization in Oregon and nationally. This is the fifth consecutive year the Symphony has broken its fundraising record at the signature event. The evening began with the Symphony’s annual free community concert held at the Arlene Schnitzer Concert Hall. The program, titled Music of the Americas, was a tribute to the vast influence that Latin music has had on composers hailing from all three Americas. Midway through the concert, the 2019 Schnitzer Wonder Award, created by Jordan Schnitzer in honor of his parents Harold and Arlene Schnitzer, was presented to Mariachi Una Voz, a group comprised of middle and high-school students from the Hillsboro School District. The award, accepted by the group’s manager Dan Bosshardt in both English and Spanish, includes a $10,000 contribution. Following the award presentation members of Mariachi Una Voz, dressed in traditional costume, filled the stage to perform two pieces with the orchestra and received a standing ovation from the capacity crowd. Following the concert, gala guests walked across the South Park Blocks for a three-course formal dinner in the Portland Art Museum’s Kridel Ballroom. The room was decorated with floor-to-ceiling banners featuring line drawings of famous landmarks from North, South, and Central America by artist Amanda Iler Fuson. As dinner began, Showalter shared many of the recent exciting Oregon Symphony achievements including its continued work in the community and the growth of its classical concert series next season. Principal Timpanist Jon Greeney then took the stage with four of his student musicians to present a work by Steve Reich called Clapping Music. This minimalist piece is performed entirely by individuals clapping hands in different rhythms and presented a “hands on” example of how easily everyone can engage with and connect through music. Renée Bruce, Executive Director of Community Action and Sabrina Ersland, Kaleidoscope Special Guest and former client of Community Action. Tom Hughes, former Metro President and Hillsboro Mayor and newest Community Action Board Emeritus member was honored at the benefit. The event included recognition of former Metro President and Hillsboro Mayor Tom Hughes as Community Action’s newest Emeritus Board Member. Over $226,000 was raised at Kaleidoscope which will directly support Community Action’s programs and services dedicated to assisting local families to find a path out of poverty. Community Action would like to extend a special thanks to Kaleidoscope’s Presenting Sponsor, Heritage Bank, for their incredible support. Thank you also to all the sponsors, generous donors and volunteers who made the event a success. We are truly honored to have your help in making Washington County a place where everyone has a chance to thrive. Portland, OR. Dogs of all sizes, ages and breeds are invited to apply for the 2019 Portland Rose Festival Canine Court. Six dogs will be honored as the official Canine Court, including two lucky dogs to be crowned the king and queen. All six dogs will be invited to ride on, or walk with, a float at the Rose Festival Starlight Parade on June 1st. There’s an entry fee of $50, so the contest is a fundraiser for the Oregon Humane Society. A panel of representatives from the Oregon Humane Society, LexiDog, 105.1 The Buzz and the Heathman Hotel will pick 20 canine finalists to participate in the Canine Coronation Ceremony at the Heathman Hotel, 6-9 p.m., Wednesday, May 22. During this event, the Canine Court will be chosen. Winners will receive prizes worth up to $1,500. OHS first partnered with the Rose Festival in 2018 when a dog named Diesel, pictured above, became the first canine Grand Marshal of the Grand Floral Parade. West Linn, OR. 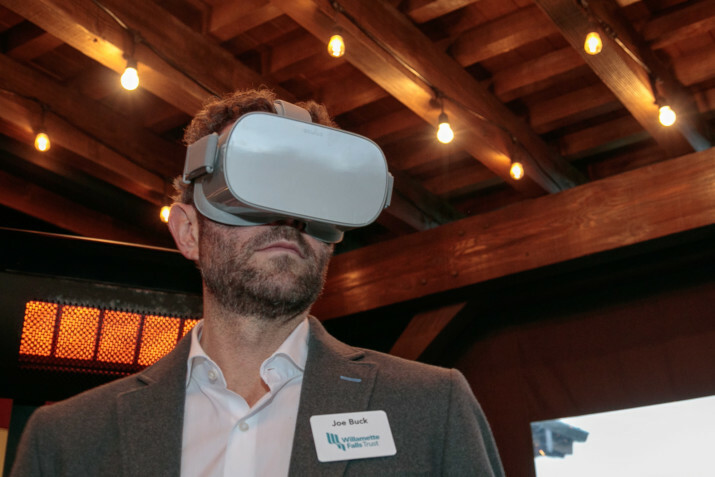 Willamette Falls Trust supporters gathered on April 10th to celebrate $7 million in new gifts from two philanthropic families to help with plans to provide access to the falls and revitalize the area. Connie Ballmer, wife of former Microsoft CEO Steve Ballmer, and the co-founder of Ballmer Group, has donated $5 million toward the Riverwalk. The Ann and Bill Swindells Charitable Trust has donated $2 million; the Trust is focused on improving the quality of life for Oregonians, and seeks to sustain the state’s cultural, scientific and historical endeavors. Connie Ballmer grew up in Oregon City and worked at the Crown Zellerbach mill on the west side of Willamette Falls as a college student. The announcement celebration, on April 10th, took place at the Tumwater Vineyard & Barrel House in West Linn. The Willamette Falls Riverwalk is a public/private partnership, with government and nonprofit organizations working together to bring the project to life. Willamette Falls Trust works alongside the Willamette Falls Legacy Project, a four-government effort comprised of Oregon City, Clackamas County, Metro and the State of Oregon. 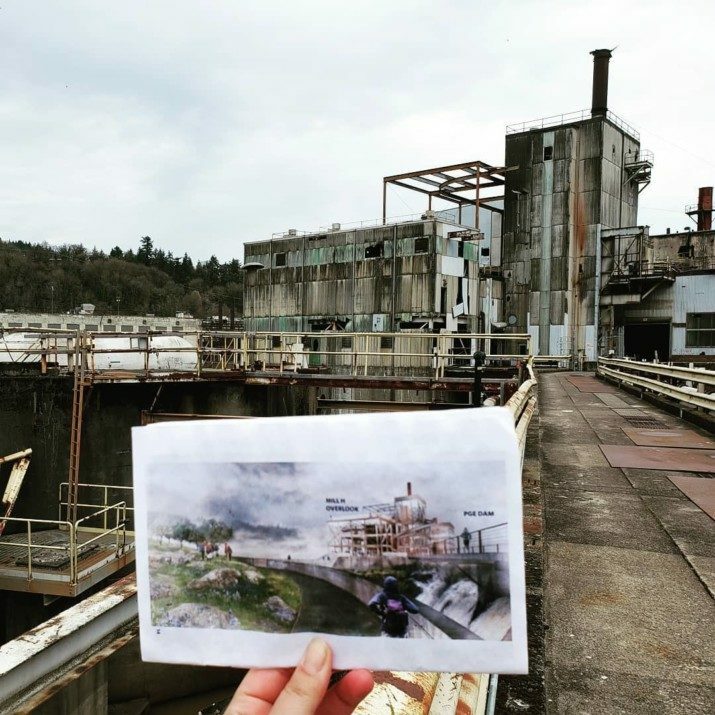 The current plans for the Willamette Falls Riverwalk include repurposing one of the former mill buildings into a three-story structure which will provide visitors with an overlook of the falls and Willamette River, restored habitat and gathering spaces as well as historic and cultural interpretation of the site. Willamette Falls is America’s second-largest waterfall by volume. The Willamette Falls Riverwalk is a public/private partnership, with government and nonprofit organizations working together to bring the project to life. 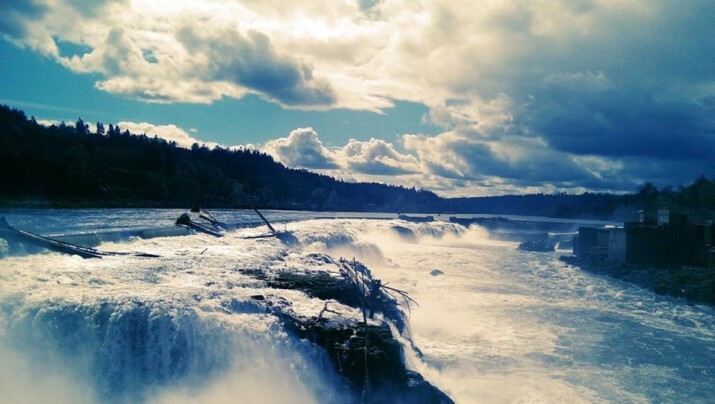 Willamette Falls Trust works alongside the Willamette Falls Legacy Project, a four-government effort comprised of Oregon City, Clackamas County, Metro and the State of Oregon. “These generous gifts buoy our efforts to complete the first phase of a world-class Riverwalk, demonstrating community and regional support of our plans to create a new experience at Willamette Falls that will give everyone new opportunities to explore the rich habitat, culture and history of this significant place,” said Alice Norris, Board Chair of Willamette Falls Trust. With a fundraising goal of $35 million for Phase One of the Riverwalk, $19.5 already contributed by the Willamette Falls Legacy Project partners, and this additional $7 million donated by individuals, the project has now raised more than 75% of the funds needed to meet the goal. A capital campaign to raise the remaining $8 million is currently underway. Portland, OR. The seventh annual Heroes of the Heart Gala presented by Moda Health and The Adventist Health Foundation celebrated community heroes. Andrea Molloy, Debbie Russell, Carol Hart, Aubrey Fogg, Christen Kolberg served on the Gala Committee. This year the Foundation recognized Allie Roth, founder and president of With Love, Alison Hicks, Jason Hicks and Sabrina Prill, founders of the Chelsea Hicks Foundation and Deja Fitzwater, 2018 Pamplin Media Amazing Kid. Our heroes’ compassion and generosity make a difference in Portland and we are honored to recognize their dedication to our community. The sellout crowd was entertained by comedian Michael Jr. and MC Terry Johnsson. More than $200,000 was raised in support of Cancer Care at Adventist Health Portland. Adventist Health Portland is part of Adventist Health, a faith-based, nonprofit integrated health system serving more than 80 communities on the West Coast and Hawaii. Founded on Seventh-day Adventist heritage and values, Adventist Health provides care in hospitals, clinics, home care agencies, hospice agencies and joint-venture retirement centers in both rural and urban communities. Our compassionate and talented team of 37,000 includes associates, medical staff physicians, allied health professionals and volunteers driven in pursuit of one mission: living God’s love by inspiring health, wholeness and hope. 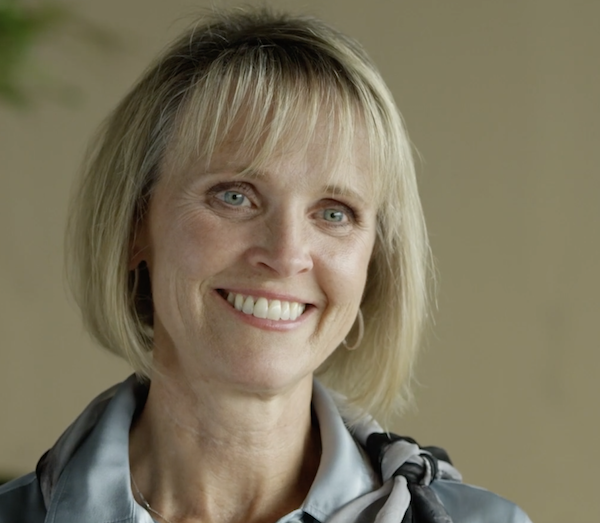 Together, we are transforming the American healthcare experience with an innovative, yet timeless, whole-person focus on physical, mental, spiritual and social healing. The Golden Ticket Winner was RGS Teacher, Jennifer McDonald. Guests enjoyed a sit-down dinner from Chefstable Catering, casino gaming from Wild Bill’s Entertainment, a Wheel of Fortune, Live Auction, Party Pack sign-ups, Raffles and Online Bidding. The Riverdale School District is an independent public school district. It was founded in 1888 and has always enjoyed widespread community interest, involvement and support. Today, Riverdale Grade School (PreK-8) and Riverdale High School (9-12) serve more than 600 families living in a residential, wooded area called Dunthorpe, located seven miles south of downtown Portland, Oregon, and adjacent to the city of Lake Oswego. View our district boundaries. Riverdale School District is committed to providing an exceptional college-preparatory education for all students that is personalized, learner-centered and academically rigorous. Our simple but powerful goal is to produce students who know how to use their minds well. The curriculum in each grade level marries core academic disciplines with art, music and experiential learning. Students are required to demonstrate their deep understanding of fundamental subject matter through classroom work, including individual and group projects. Plus, learning at Riverdale isn’t confined to the classroom. Students are encouraged to spread their wings and expand their minds through field studies. Starting with day trips in lower grades, overnight trips beginning in 4th grade, and week-long field studies in middle school and high school, these excursions provide the opportunity to use classroom knowledge in real-world, experiential settings.